Not as great as the previous entry, but still packed with enough dino-sized fun for all. 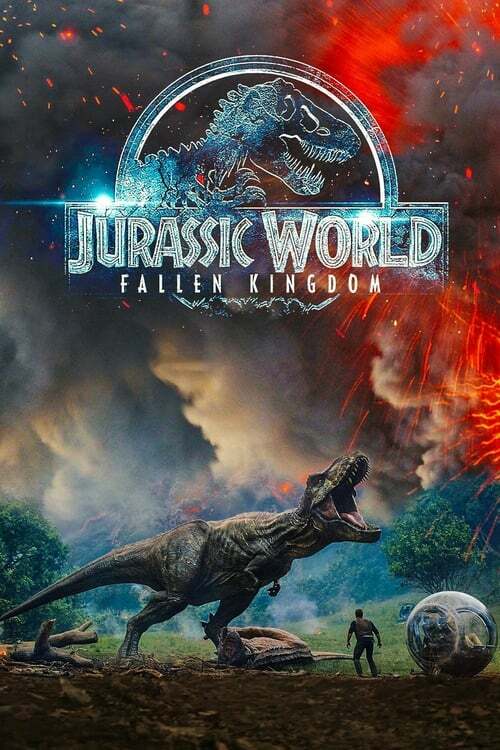 Being a pretty big Jurassic Park fan, I couldn’t wait for the latest installment, Jurassic World: Fallen Kingdom, to come my way, especially since I loved Jurassic World. I finally got to see it in 4K with HDR thanks to our friends at Universal, and while it doesn’t pack the same dino-punch as the previous entry, there’s still enough action and thrills for the whole family to enjoy. Our own Travis Seppala had the chance to watch this at the movies earlier this year, and you can read all about the plot details and his take on it in his review. While I definitely understand where he’s coming from with the low score of the film, I tend to be easily entertained, so I’m a little more forgiving when it comes to flicks most tend to see as letdowns. I had a pretty good time checking this one out as the action and adventure bits were a tad cliched, but still fun nonetheless. Again I can understand why some people will be turned off by the pacing, some unnecessary characters doing equally unnecessary things in the film just because and such, but I was willing to look past all of the flaws and find a fun film. The best part were the special effects and how they’re really well done and come through even better in 4K with HDR. Thanks to this 4K Blu-ray, the visuals and audio are super detailed and pull you into the film perfectly. I’ve always loved that 4K titles feel as close as you’re going to get to owning the film master and this one was a pure treat for my eyes and ears as I watched. There’s also some cool special features you can view after the adventure is over, like “Chris Pratt’s Jurassic Journals” that feature some mini interviews with Chris discussing things with some of the cast and crew members such as their experiences working on the film and more. “Fallen Kingdom: The Conversation” features Chris Pratt, J. A. Bayona, Colin Trevorrow, Bryce Dallas Howard and Jeff Goldblum going into the film and what it brings to the Jurassic Park universe. One of my favorites is “VFX Evolved” that goes into how far CG effects have come since the original film, and show just what goes into making them. There’s a ton more extras covering behind the scenes stuff, the new dinosaurs in the film, and more that will keep you busy long after the film ends. If you’re a fan of the franchise like I am, or just like dumb-fun films, you’ll want to hop into your SUV and pick up Jurassic World: Fallen Kingdom. It may not be the best entry in the series, but there’s plenty of action, fun and thrills the whole family will want to take a dinosaur-sized bite out of.